WePlay have worked with IRONMAN, the world’s leading mass participation event organiser since 2017. As part of our remit with IRONMAN, WePlay were briefed to conceive, develop and activate a digital marketing strategy to drive awareness and race registrations for the 2019 Swiss Epic. Having learned from campaign successes from Swiss Epic 2018, we entered into this strategy, with a plan to focus on differentiating Swiss Epic from its competitors. 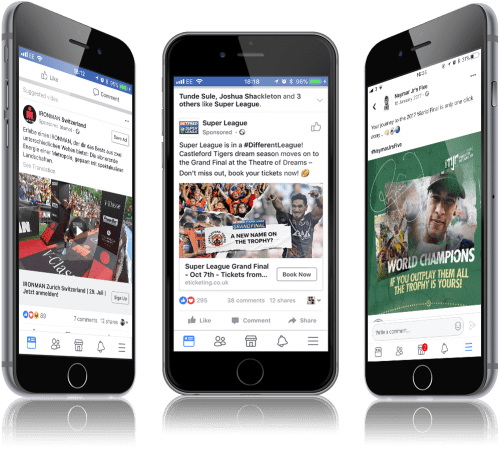 We defined the messaging, TOV and audience targeting, and coupling this with robust data from the 2018 campaign, meant our 2019 campaign was optimised perfectly, and enabled us to drive increased registrations for the 2019 event. The approach paid dividends. WePlay and IRONMAN sold out Swiss Epic 2019 six-months ahead of schedule.